Urdu Shayari is regarded amongst the best of world’s literatures. Where people fall for French and English literature, they also appreciate the beauty of Urdu shayari. Urdu ‘Adab’ or literature has progressed in both India and Pakistan. The language, Urdu, is not very old historically, yet it has convinced many of its appeal and flexibility. Many believe that the depth a language of antiquity can preserve, such latent languages may not possess. We have gathered the best of Urdu Shayari in this post for you. 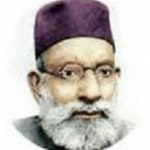 The poets we have included for this blog post of Urdu Shayari have ever been appreciated not only in their times but also in the modern age too. And among the best of poet. we have chosen only the hand picked verses of them. You will love it. You would devour their poetry we chose. Let us begin with poet by poet and his verses.